Many homes have basements that are stale musty or smelly because of seasonal water issues, sump pits, floor drains or general lack of air exchange. The XchangeR Basement Fan is the economical and simple way to automatically ventilate your basement to eliminate odors and reduce humidity. For less than the cost of a portable dehumidifier and at a fraction of the operating expense, reduce humidity levels and eliminate the musty smell in your basement by installing a Tjernlund XchangeR basement fan. 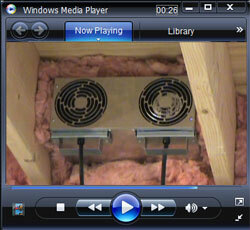 Use to turn inline fans on/off and to vary motor RPM. 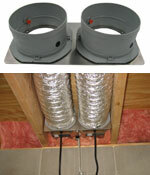 Plug fan cord directly into speed control and speed control directly into outlet. Air Conditioning Engineers (ASHRAE), and the local code authorities. room if necessary. 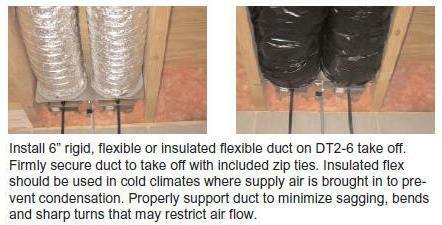 The DT2-6 can also be used to duct air to a room where the XCHANGERTM is not installed in. 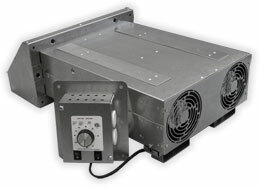 Disconnect power supply to fans and/or control when installing the DT2-6. Failure to do so may result in personal injury and/or equipment damage.